etting out for Saint Giles leper colony outside Shrewsbury, Brother Cadfael has more pressing matters on his mind than the grand wedding coming to his abbey. Yet as fate would have it, Cadfael arrives at Saint Giles just as the nuptial party passes the colony's gates. He sees the fragile bride, looking like a prisoner between her two stern guardians, and the groom, an arrogant, fleshy aristocrat old enough to be her grandfather. And he quickly discerns that this union may be more damned than blessed. 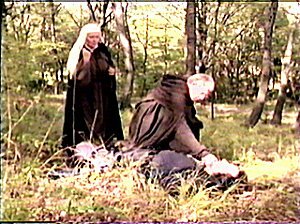 Indeed, a savage murder will disrupt the May-December marriage and leave Brother Cadfael with a dark, terrible mystery to solve. 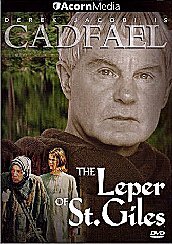 For the key to the killing -- and a secret -- are hidden among the lepers of Saint Giles. 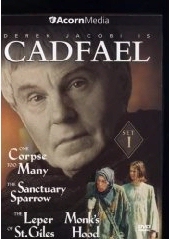 Now Brother Cadfael's skills must ferret a sickness, not of the body, but of a twisted soul. This page last updated on June 29, 2005.